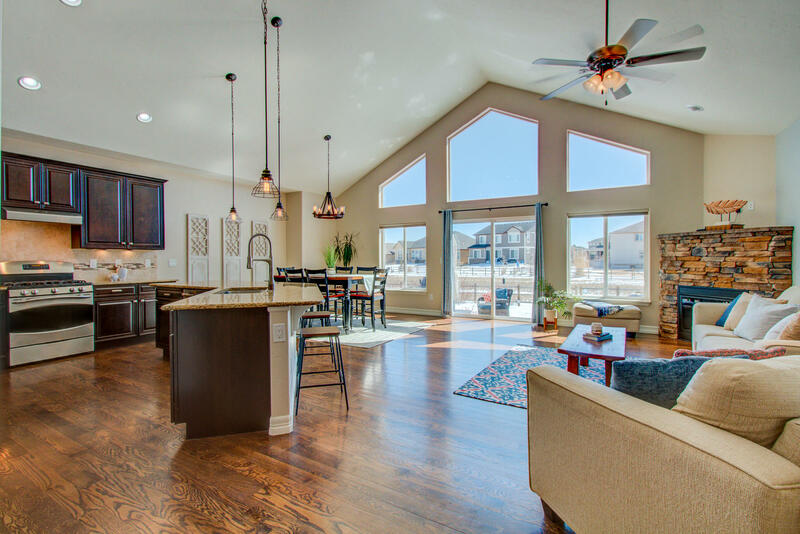 A truly ideal open-concept sprawling ranch at 4,000 finished SQFT! Newly built in 2013 and lightly lived in! 6 spacious bedrooms or 5 + a study off foyer and 4 baths. Super-efficient: High Efficiency furnace, central A/C and stone gas fireplace in the great room! New Garage Doors and Driveway! Perfectly oriented on over a quarter acre and backing to HOA protected Open Space/Greenbelt on a cul de sac! 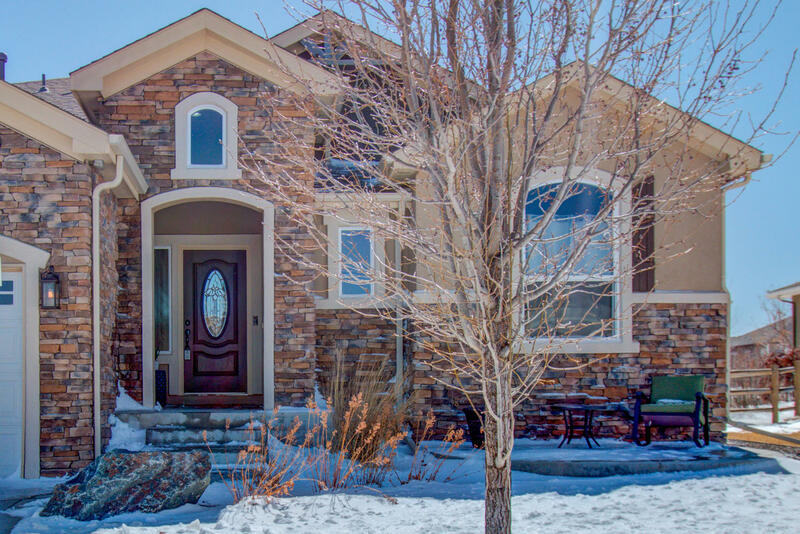 627 SQFT of custom patio, featuring a large firepit to enjoy the beautiful outdoor weather and Colorado lifestyle. Standing beds to the southwest full irrigation and completely fenced backyard beautiful established landscaping. 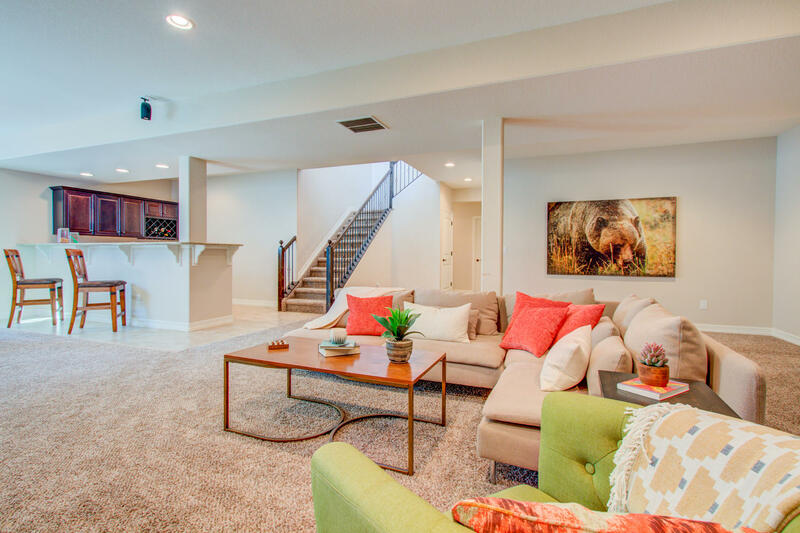 This home was built with entertainment in mind with an open transition to a Massive Finished basement with 9ft ceilings + an elaborate slab granite wet bar! Wired for 7.1 surround sound perfect for watching movies or sports games spacious and don’t miss the game room area right next to the wet bar. The lower level also features a huge guest wing 20 X 14 bedroom with a walk-in closet and another 14 X 11 bedroom with ample storage. Entertain for every holiday in the Huge chef's kitchen boasting 3 ovens total! A gas free standing range + double wall ovens (one is a microwave/oven combination.) Upgrades throughout this gorgeous eat-in kitchen! Massive center island, SLAB Granite, full tile backsplash, under cabinetry lighting, separate walk-in pantry, all stainless appliances with a French door fridge, 42” raised panel cabinetry with crown moulding, gorgeous tile work, volume cathedral ceilings on the main level, and true site finished hardwood flooring, not a detail missed! Relax after a long day in the Owner’s Suite with an oversized walk-in closet perfectly positioned to flow right into the laundry room (with added cabinetry and utility sink.) Spa-inspired 5 piece master bathroom with walk-in shower and (poured floor and convenient seat) jetted Tub. Sunny master suite and don’t miss all blinds are upgraded to top-down bottom up for convenience. Dark bronze light fixtures, and hardware, custom hand troweled texture on the main floor, shaker style interior doors and an oversized 3 car garage. Metrodistrict, and optional $300 a year membership for pool.